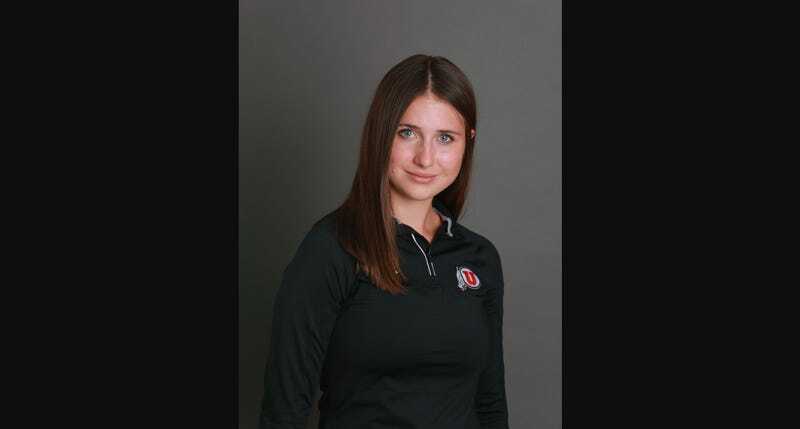 University of Utah track and field athlete Lauren McCluskey was fatally shot earlier this year by a man she had recently dumped after she found out he had lied to her about his name, age, and criminal record. The man, Melvin Rowland, 37, died by suicide hours later. But for weeks before her Oct. 22 murder, McCluskey, her family, and her friends knew she was in danger and kept asking for help, according to documents and 911 audio released this month. As early as late September, two friends spoke up to a resident assistant in her dorm. By early October, McCluskey was calling campus police. Worried campus police weren’t acting fast enough, McCluskey called Salt Lake City police too. Here is a timeline of those requests for help, based off two reports released this month—one by the University of Utah, another by the state’s public safety department—as well as recently released 911 calls. Over the following days, reviews were done by housing officials but the decision was made “not to ‘overstep’ in assistance to Lauren unless she was seeking support,” the university report said. On Oct. 9, McCluskey broke up with Rowland after learning that he had lied about his name, age, and criminal history. But she allowed him to borrow her car to run errands. Trying to get her car back the next day led to the McCluskey family’s first call to campus police. On Oct. 10, McCluskey’s mother called university dispatch and sounded “very upset and worried,” according to the university report. Her daughter was having her car returned, and she was worried that her daughter would be hurt during the handoff. Ultimately, campus security went with Lauren McCluskey to the stadium, where she picked up her car, according to the state’s report. Two days later, on Oct. 12, Lauren McCluskey called campus police saying she’d gotten concerning text messages from some of Rowland’s friends. The text messages said Rowland was dead and it was McCluskey’s fault, according to the state’s report. McCluskey knew that wasn’t true, as she could see pictures Rowland recently had posted of himself. McCluskey called campus police again the next day, Oct. 13, when she got text messages trying to extort her. That day, per the state’s report, McCluskey told another detective that she had received text messages saying that images of her would become public if she called police. Another text message demanded $1,000 to delete the pictures. The detective said that “due to the multiple names, accounts, and phone numbers associated with the extortion” it would take time to figure out who exactly was doing it, the state’s public safety report said. That day, Oct. 13, McCluskey also called Salt Lake City police. The audio was posted online by KUTV. In it, you can hear McCluskey say she’s nervous because she doesn’t know how long campus police will take. The recording ends when the dispatcher transfers McCluskey to the campus police department. That same day, Oct. 19, McCluskey called Salt Lake City dispatch. In a recording of that call, McCluskey says she’s worried that campus police aren’t moving fast enough on her case. The next day, Oct. 20, McCluskey sent the detective screenshots of threatening text messages she had received, as well as Rowland’s criminal history, per the university’s report. On Oct. 22, Lauren McCluskey was fatally shot on campus by Rowland. The third phone call released by Salt Lake City police is from her father, Matt McCluskey, asking for help because they had heard her being assaulted. After the murder, police heard from a person, asking to stay anonymous, saying that another ex-girlfriend of Rowland’s had asked for help writing a letter to Rowland’s parole officer because Rowland was harassing her, according to the state’s public safety report. The ex-girlfriend declined to speak with investigators, but they also reached out to Rowland’s parole officer. The parole officer recalled receiving the letter and contacting the ex-girlfriend. “The Parole Agent stated they did speak with the ex-girlfriend, and explained she needed to do these things formally, and that the letter was not a legal document,” the report said. You can read the full University of Utah report by clicking here and the Utah Department of Safety report by clicking here. Correction: A previous version of this article incorrectly stated which police department took several days before reviewing information provided by McCluskey. It was campus police.